When Dickens wrote Hard Times in the middle of the nineteenth century, at the end of the British Industrial Revolution, he described the fictional Coketown as “A blur of soot and smoke…”. One hundred and fifty years later, air pollution in England and Wales remains an important cause of increased mortality. In this issue of Thorax, Anna Hansell and colleagues take us on a journey through four decades of air pollution (see page 330). The study looks at black smoke, SO2 and latterly PM10 exposure in a 1% sample from census data, modeled to place of residence. The effects of air pollution in the 1970s are still apparent in an increased respiratory mortality 4 decades later. The effect of more recent exposure is, unsurprisingly more severe. Later this year the Healthy Lungs for Life campaign (an iniative of the European Respiratory Society & European Lung Foundation supported by the British Thoracic Society) will exhort doctors and the lay public to “Breathe clean air at work rest and play”. There are lessons here for emerging nations, whose growth in recent decades has been at the expense of exposing citizens to greatly increased levels of air pollution. Although it appears a rational approach to incorporate telemonitoring into clinical practice, in reality it has proven difficult to provide the evidence to use such advanced technology in patients with chronic respiratory disease. Chatwin and colleagues have shown in a randomised crossover trial of telemonitoring in chronic respiratory patients (TeleCRAFT trial) that despite implementation of the system, telemonitoring, when added to standard care, did not affect the time to next hospital admission and disappointingly increased hospital admission and home visiting rates (see page 305). The way forward in this important area of medicine must be to focus on advanced care coordination in association with telemedicine as discussed in the accompanying editorial (see page 299). Occupational lung disease is put in its historical context by Anthony Seton (former editor of Thorax) in his Farewell to king coal (see page 364). From the closure of the last British pit (Kellingley Colliery) in 2015, we are taken back in to a time when 20% of the adult male workforce in Britain worked in the pits and coal drove the domestic economy. Prof Seton documents the academic squabbles over what kind of dust caused pneumoconiosis and whether coal dust is an independent risk factor for COPD. He describes the birth of occupational medicine, and its contribution to the debates on air pollution and, latterly, nanotoxicology. He ends with a warning to the climate sceptics – King Coal may no longer reign in the British Isles but he still holds sway in many developing economies. Does Smoking Frizzle the Lungs? There are a number of adverse consequences suffered by smokers that will be well known to the readers of Thorax. However, the notion that smoking slowly cooks your lungs until they are crisp and curled is not an altogether inappropriate simile. Spanjer and colleagues demonstrate that mice lacking the Frizzled-8 receptor are protected from smoking induced inflammation (see page 312). Then using a combination of human genetic, and cell biology, studies they demonstrate an important role for Frizzled-8 in promoting inflammation and mucous hyper-secretion in smokers. These studies suggest strategies to de-frizz the lung may be useful therapies in patients with COPD. If the improvement is to last, further supplies of the remedy are necessary! In 1949 the Annals of Rheumatic Disease (another BMJ journal) published a case series by Hench, Kendal, Slocumb and Polley, from the Mayo Clinic. It described the remarkable effects of adrenal and pituitary adrenocortical hormones on Rheumatoid Arthritis.1 This full text document is well worth reading. In 1950 Kendall and Hench, along with Reichstein, from Basel, were awarded the Nobel Prize for their discoveries and use of cortisone. The adverse effects of cortisone have been recognised for just as long, indeed the Nobel Awarding Speech from 1950 describes some of the consequences of long term steroid use “Unfortunately if the improvement is to last, further supplies of the remedy are necessary, and during the process more or less serious secondary effects in the form of fullness of the face, the growth of hair on the face in women, nervous symptoms, etc.” It is, therefore, sobering to think that despite the advances in anti-inflammatory therapies made since the discovery of cortisone, the side effects of corticosteroids are still a major cause of morbidity in asthma. Many of the consequences of steroids are described in this study from the British Thoracic Society Asthma Registry, and it is perhaps unsurprising given the observations in 1950, that obesity and nervous symptoms are prominent, although there is no mention of hirsuitism. If there was any doubt of the urgent need for novel anti-inflammatory drugs for asthma, these data from the BTS registry are another timely reminder of their importance (see page 339, Editors' choice). 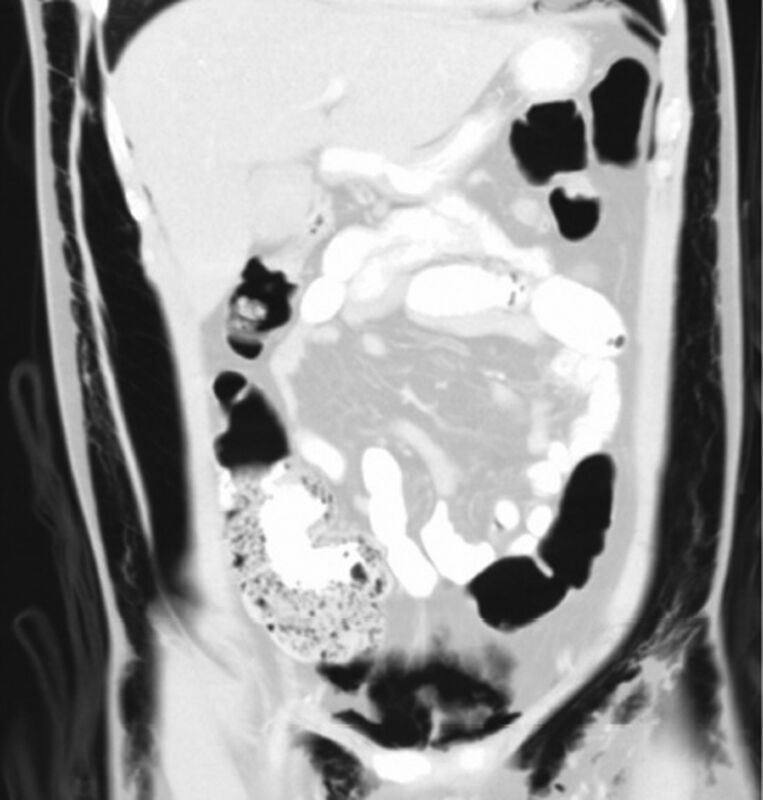 The thought of pneumoscrotum is enough to make your editors' eyes water… Those of a nervous disposition may want to avoid one of this month's “Images in thorax” but if you are made of sterner stuff turn to page 386 and sharpen your diagnostic skills on⇓ the Man in the bubble.